Charlie Rose, Matt Lauer, and now Garrison Keillor. All of these very public falls from grace have presented media companies with a conundrum: When your brand is all about transparency and openness, how do you manage a scandal within your own ranks? It was midday Wednesday when a tweet came from the Associated Press. It read, "BREAKING: Garrison Keillor says he's been fired by Minnesota Public Radio over allegations of inappropriate behavior." Just 11 minutes later, Minnesota Public Radio posted a detailed statement on its company website, saying it was terminating its contracts with Keillor. People in the MPR Newsroom scrambled to get the news on the air. Senior management of MPR said it had learned about the allegations a month earlier. The company hired an outside law firm to investigate the claims and created a special board committee to address the issue. But communications strategist Mike Zipko said the best-laid plans didn't really matter once Keillor scooped MPR on its own story. "He broke the news," Zipko said. "And what ends up happening is, the full context hasn't come out, and now you're chasing after his definition of what the story is and what the reality is. And I also think it kind of raises questions as to why did I not hear it from APM and Minnesota Public Radio first." MPR's spokesperson, Angie Andresen, said in an email that the company notified Keillor late Tuesday of the decision to cut ties. The plan, she said, was to announce the news at midday Wednesday, but Keillor decided to "self-disclose." "We provided him with a window of time to process our decision before we made it public," Andresen wrote. "We fully anticipated Garrison may decide to tell his story on his timeline." It's not the first time Keillor has jumped the gun. 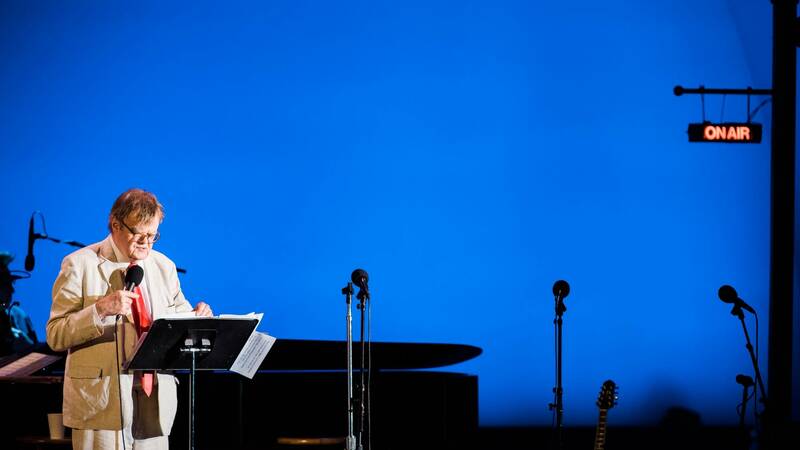 Back in 2015, he told the Associated Press about his plans to retire from A Prairie Home Companion at the end of the next season — before he even told his own staff. So, what should MPR do now? Mike Zipko said the company's leaders need to go on the air to explain their decision. "You're a news organization that expects other people to step up and be candid," he said. "Sometimes ... there's a perception in the marketplace it's a double standard. You're expecting other people to share information in tough situations, but when it becomes about you, that's where I think the news organizations sometimes don't always see it as everybody else." Zipko is among a group of Minnesota public relations professionals who've helped clients regain control of their message. In the industry, it's called "crisis communications." Another consultant who is not involved with MPR, Maureen Schriner, said the company is in a tough spot. "The issue is that the public doesn't know what the internal investigation looked into," she said. "And because those personnel issues are private, we probably will never know." All the public knows is Keillor's account. In an email, he told the Star Tribune that the allegation involved him inadvertently placing his hand on a female co-worker's bare back. Without any more information countering his story, hundreds of listeners have contacted MPR, furious with what they see as an overreaction to the incident. One thing that differentiates the Keillor scandal from the others that befell Charlie Rose, Matt Lauer and NPR's Mike Oreskes is that in those cases, the women publicly told their stories. The two people who complained in Keillor's case have not. The company said in an email last night to MPR News that it is honoring individual privacy. Angie Andresen said, "Breaching that would likely have a severe, negative impact on people considering coming forward both here and elsewhere. Therefore, we are very limited in what we can say." "Our commitment to transparency and our commitment to confidentiality are often in conflict with each other," she wrote, "and that has many people feeling understandably frustrated." KELLY: Why are we getting scooped by The Washington Post on this? KELLY: I'm talking about The Washington Post story quoting two New York Times women. And I'll add to that. I learned that Mike Oreskes had resigned when I checked my phone in the line in the NPR canteen today. And the way I learned about it was via an AP news alert — Associated Press. Why did they know and we didn't? Crisis communications experts say this kind of exchange is excruciating. But they say for media companies, it's usually best to err on the side of openness. Jon Austin, a crisis communications specialist who has represented clients ranging from Northwest Airlines to Walter Palmer, who shot Cecil the lion, said he doesn't want to second-guess MPR, for which he has done work in the past. "But as a general proposition, with an organization like MPR, I think more transparency is usually better than less," Austin said. "People are used to hearing MPR through the spoken word. It's a great strength of your organization, and one you shouldn't neglect in times like this."